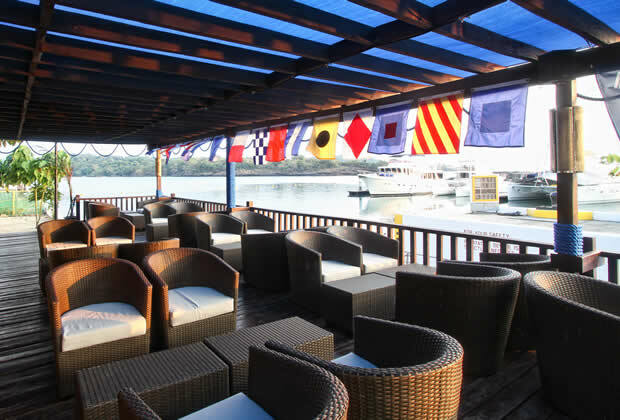 The Punta Fuego Yacht Club is, quite simply, the perfect place for those who share a love for sailing. It welcomes luxury yacht owners who value their boats as a prudent investment and an opulent retreat. Its 30 berths and 150-trailer parking area ensures that members have all the necessary amenities, including locker and shower rooms, a chart room, chandlery, and a fuel station. 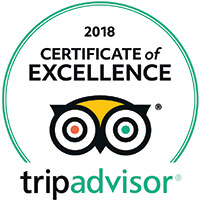 In addition, exciting watersports activities await plus our own restaurant and bar. Punta Fuego Yacht Club also offers access to Club Punta Fuego’s casitas, function rooms, restaurants, golf course, spa, and many more services. The Club reserves the right to amend any Marina related fees including but not limited to storage and berthing fees, electrical and water charges, and other utilities or service, by giving one month written notice to the registered address of the boat owner. For security reasons, only Members and persons authorized in writing may remove any vessel from its berth, or from the Marina. 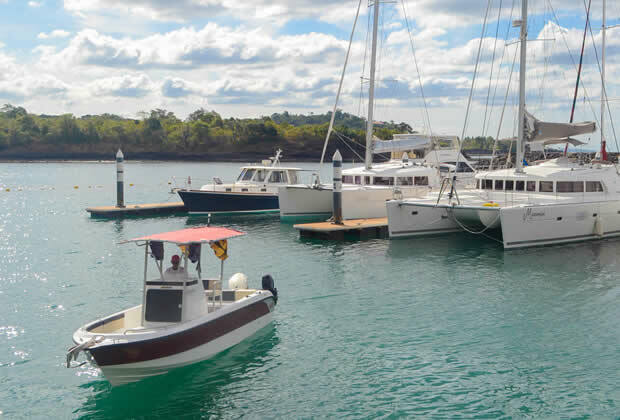 To ensure the best standards of safety and service for all, the Club reserves the right to transfer a Member’s vessel to an alternative storage slot, mooring or dock should the need arise. Requests for transfers will be considered on a case to case basis by the Club Management. Punta Fuego Yacht Club, flashing green light located at the end of breakwater N 14 07.786, E 120 35.392. All boats visiting or using the PFYC Marina facilities will be encouraged having VHF Marine Radio available on board for communication purposes. The Marina Office and slipway is open daily from 0800H to 1700H. The Marina Administration Office is located at the service dock fronting the boat trailer parking entrance where all administration and Marina related business is to be settled. Only authorized Marina Staff are allowed to launch and recover boats using slipway. Boat Owner who wish to use the slipway before or after the operating hours must inform the Marina Office of their intention and will be charged Php 100.00 per hour before or after the regular operation hours. Boat is charge based on the boat Length Overall (LOA) on per foot basis. Length Overall (LOA) is measured from tip to tip including bowsprit, pulpit and swim platform. No berthing charges will be applied to first three (3) hours of dock usage for visiting vessel and (1) day for the boats with contract at PFYC. Daily berthing charges will be applied to dock usage beyond the first three (3) hours. A. Electricity at Php 15.00 per kilowatt-hour. B. Water at Php100.00 per cubic meter. C. Connection fee of Php 100.00 for either power or water will be applied. Marine life preservation is strictly observed. The Marina is a “No Wake Zone” area. IDLE SPEED ONLY. Jet ski Operators and Passengers are required to wear Personal Floatation Device while on the jet ski. All boats are required to have Personal Floatation Device for each person aboard. The Owner and Operator are responsible for any damage to other boats and Marina property due to negligence. “No Swimming and No Fishing” allowed within the Marina premises. A fine will be imposed for any Fuel/Oil or Garbage spilled in the Marina. Proper attire and boating etiquette is required at all times. Visitors are requested to register at Marina Administration Office upon arrival and shall enjoy privileges allocated to Club guests within PFYC premises after payment of the appropriate Club Punta Fuego, Inc. guest fees. Club Punta Fuego, Inc. reserves the right to adjust rates whenever it deems necessary. One month notice will be given to all Owners prior to implementation of new rates. Visiting vessels are welcome at the Punta Fuego Yacht Club. Subject to certain terms and conditions, mooring vessels may also get access to a host of yacht club services. 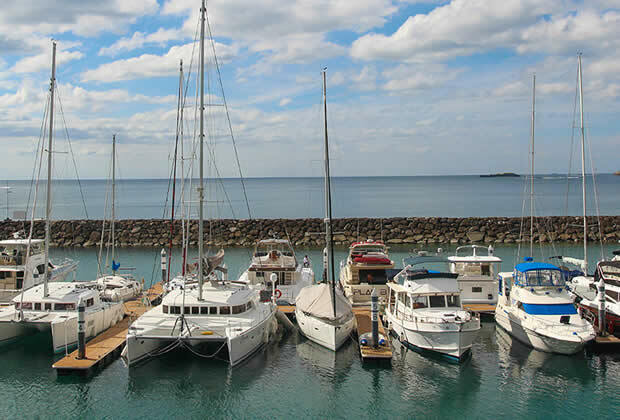 Visitors can use berths for a total of 21 days within a 12-month period subject to availability of the berth and upon prior arrangement with the Yacht Club Manager. Upon arrival, visiting vessel owners and crew will be issued visitor’s passes, which will grant them access to the Yacht Club’s facilities. Visitors are required to surrender their passes at the Yacht Club office prior to departure. Please note that premium rates apply for berthing and other services for visiting vessels. With our yacht brokerage service, we can help put your boat and other related items up for sale. Simply register what you are selling on our official listing at the marina office (a minimal fee is charged) to include your boat in our official listing published in our bulletin, newsletter, and website.